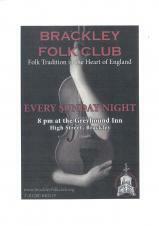 Brackley European Association meet at the Old Fire Station on the last Thursday of each month at 8.00pm. Meet BAFTA nominated director of 'The Shack', Stuart Hazeldine. 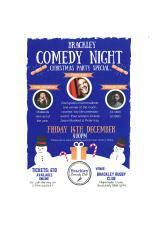 Brackley Baptist Church at 4.00pm Sunday 9th December. 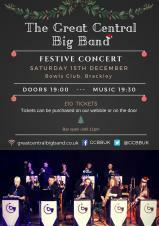 The Great Central Big Band residency gig at Brackley Bowls Club. 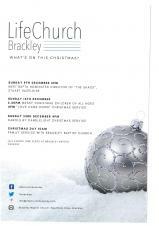 Brackley Methodist Church Carol Service at 10.30am, followed by Lunch. All meetings held at Evenley Village Hall at 8.00pm. Brackley Methodist Church invite you to 'Come and Share Advent' on Wednesday 19th December 2018 from 6.30pm. General Meetings are held on 3rd Thursday of each month throughout the year at Brackley Methodist Church, High Street from 10am until 12 noon. 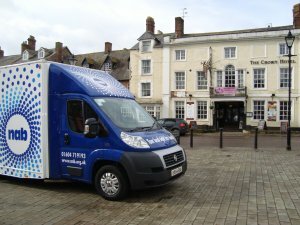 Each meeting includes a guest speaker and refreshments are included. Visitors are most welcome at £2.00 per person. Contact U3A to find out more information about meetings and regular groups. 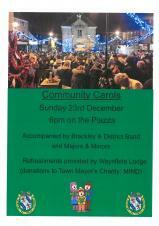 Community Carols accompanied by Brackley & District Band and Majors & Minors. at 6.00pm on the Piazza. 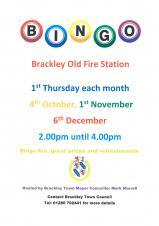 Refreshments provided by Waynflete Lodge and Brackley Town Council; donations to Town Mayor's Charity will be most welcome. 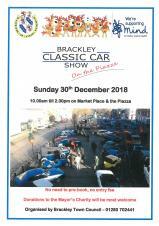 After a break in 2017, this event returns to Brackley Market Place and Piazza on Sunday 30th December 2018. 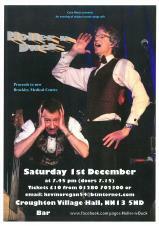 Classic Vehicle owners - No need to pre-book, free to attend. 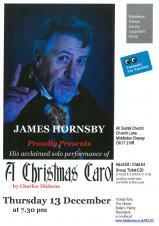 Visitors - FREE event for all to enjoy. Donations to the Town Mayor's Charity would be most welcome. XHTML 1.0 validated. WCAG compliant. Page generated in 0.1936 seconds.